The damaged police service vehicle in Spalding, Clarendon where a cab driver was reportedly shot by a policeman on Tuesday morning. A male transport operator was reportedly shot and injured in Spalding, Clarendon on Tuesday morning. Alleged eyewitnesses claim that the man was shot by a police officer. 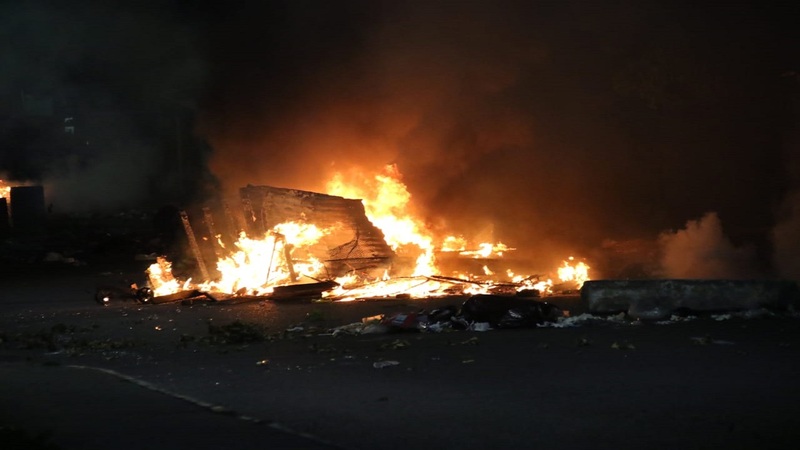 The development has led to a fiery protest by residents and colleagues of the transport operator. Reports reaching Loop News are that about 11:15 am, shots were heard and the transport operator was later seen suffering from gunshot wounds. 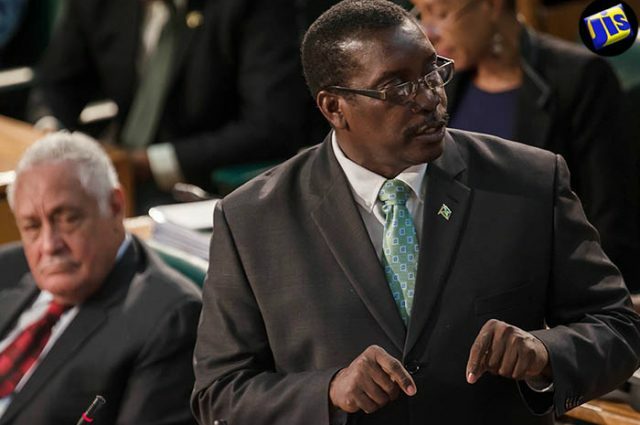 He was rushed to hospital for medical treatment, but his condition is not known at this time. 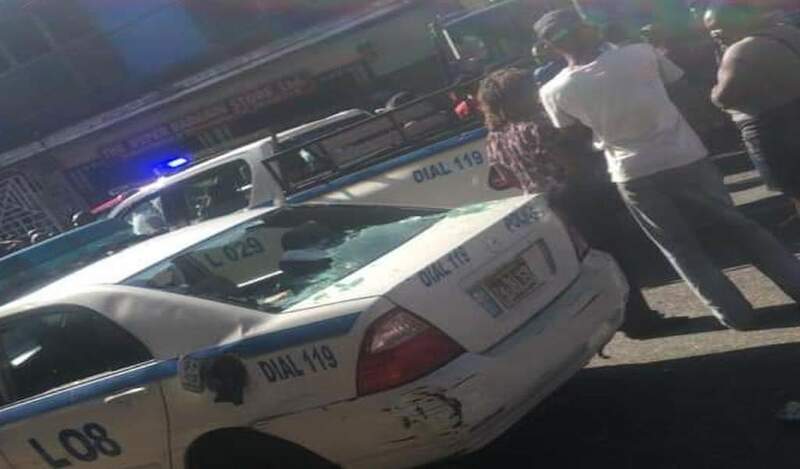 It is being further reported that angry taxi drivers attacked the accused police officer, forcing the lawman to run for cover in a nearby supermarket. 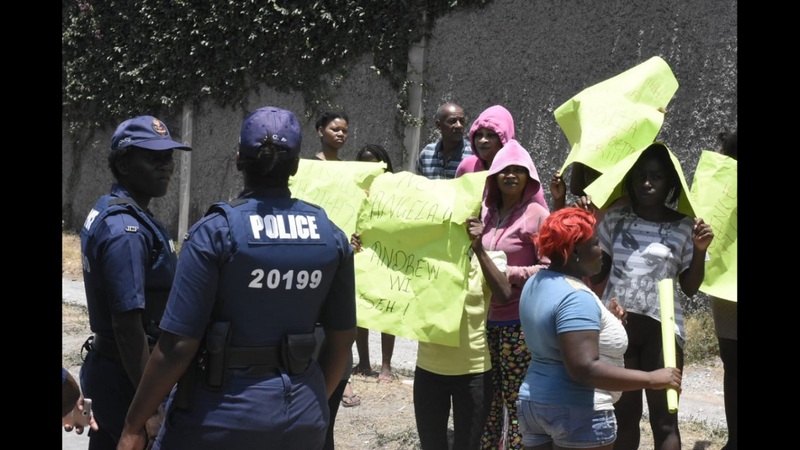 Operators of the facility have reportedly since closed down the shutters of the business place to protect the policeman who has since called for support. The policeman's car has been damaged, presumably by angry protestors at the scene. More details later as Loop News continues to track this developing story.